Give yourself some extra leverage. If you're cutting logs, trees or contending with stumps, Timber Tuff’s 31" Tree Felling Lever is the multi-purpose tool you need. It makes the job easier by providing extra leverage, and it's easy to handle at just 9 lbs. 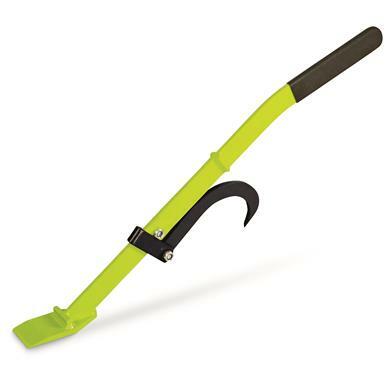 The Lever also functions as a log roller with logs up to 8” and can free pinched chainsaws as well. It's one versatile tool. Durable, too. The Lever is constructed of steel with a powder-coat finish to resist corrosion and last longer. You'll get years of service from this Felling Lever. Double strong and low stretch for durability!